Hello and Happy Friday! Over the next week or so, I’ll be posting photos from our recent trip to Hawaii. We had a nice time visiting family and did some fun activities. 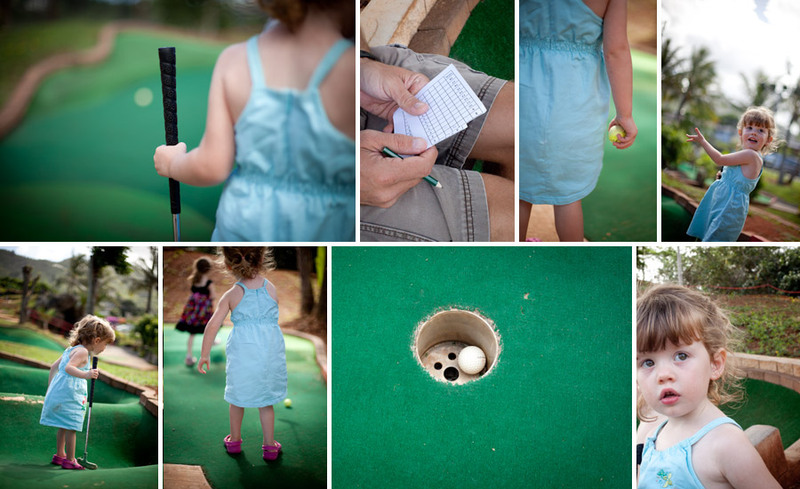 This was the girls first time miniature golfing and they had a blast. Ava was into it a little more than Kenna, so therefore I have three times as many photos of her golfing than anyone else. Kenna did the “push the ball along with the club and call it a hole-in-one” routine. I guess golf isn’t her thing. I had quite a heavy hand and managed to send a few off the course. I guess golf isn’t my thing either. Either way, we had fun!